EXCELLENT LOCATION & PLENTY OF CHARM! 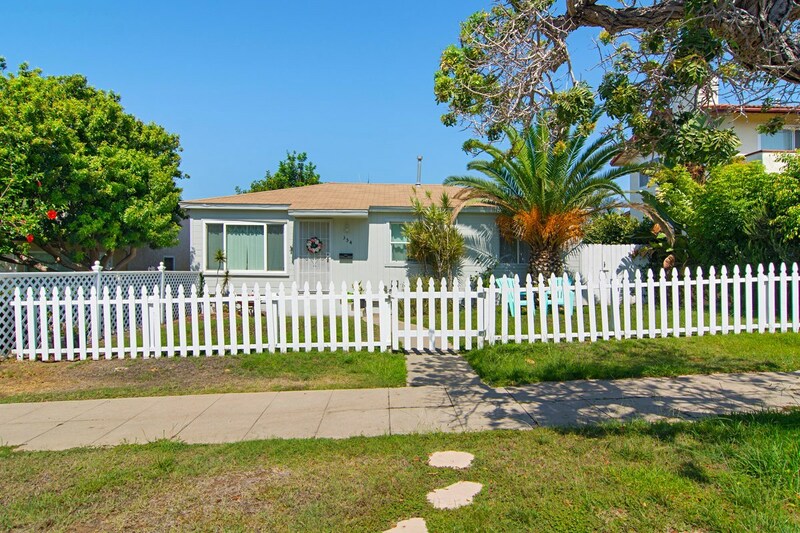 This Coronado Village 3 bedroom single story home has endless potential and is just 2 blocks to Harbor View Park & a short walk to the Village shops, restaurants & those famous Coronado beaches! LOT is 3,500 s.f. and City says Buyer can build up to a 2,415 s.f. structure (can be two story) see Supplemental Remarks for set backs. Large private yard with wood deck to enjoy the perfect weather, family BBQ's & entertaining with friends. DON'T MISS THIS OPPORTUNITY!, TONS OF POTENTIAL this charming single level cottage style house is situated in the perfect Coronado Village location. City says you can build a structure up to 2,415 s.f. this would include first story and possible second story on this 3500 s.f. LOT. Set back is 25 feet from sidewalk, 5 feet on each side & 21 feet from back of first story to fence. This information was obtained from the City manager's office but is not guaranteed by Seller or agent. Buyers should perform all investigations and inquires personally.